AKIPRESS.COM - The 29-year-old native of Uzbekistan suspected of carrying out a terrorist attack in the U.S. was an Uber driver, who moved to the U.S. after winning the Greencard Lottery, NBC News reported. 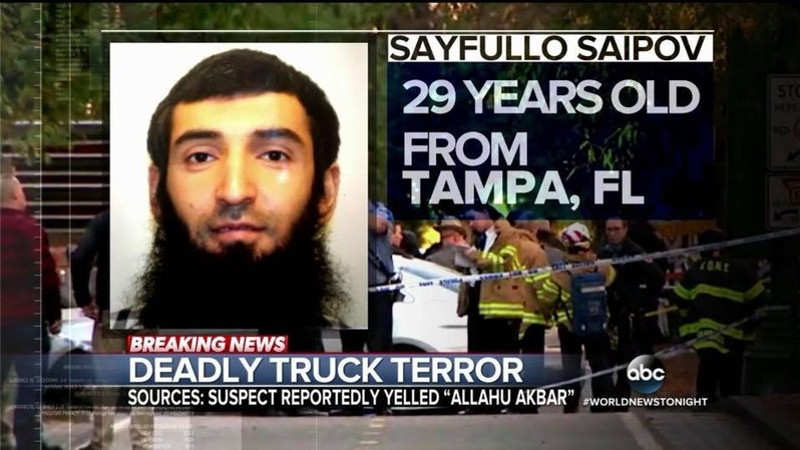 Reports said the suspect in the New York City attack is Sayfullo Habibullaevic Saipov, he was born in February of 1988 and resided in Tampa Florida. He survived the attack which killed eight, when he plowed a rented truck into a Manhattan bicycle lane, not five blocks away from Ground Zero. Sayfullo Saipov is from Uzbekistan and has been in the US since 2010. He entered the U.S. 7 years ago under the Diversity Visa Program, meaning that he won the international lottery where the US hands out Green Cards abroad.